New York City produces point guards, the Dominican Republic is renowned for making shortstops, and the Netherlands routinely delivers the best kickboxers on the planet. UFC light heavyweight Hans Stringer, a proud native of Rhenen, took a different route to the UFC as a Brazilian Jiu-Jitsu black belt. Stringer had a couple kickboxing matches, but MMA was the direction he wanted to go in, and so kickboxing was strictly a way to evolve his stand-up game. And as an MMA fighter, despite his unconventional method of being introduced to the sport, he was pretty good, prompting him to leave college, where he was studying to become an electrician, to fight full-time. A decade later, he’s 27 and a UFC fighter preparing for a UFC 179 main card date with Fabio Maldonado. Unbeaten in his last seven bouts, Stringer made his Octagon debut in March, pulling out a three-round split decision win over Francimar Barroso that improved his pro record to 22-5-3. The fight could have easily gone south for him, as he was facing a Brazilian in Brazil, but he put any distractions out of his head and gutted out a big win. On Saturday, Stringer hopes history repeats itself when he faces another Brazilian in Brazil, and perhaps this time might be even less of a strain on him mentally, considering that he’s already fought under the bright lights of the UFC. He also knows what to expect from Maldonado, a non-nonsense brawler who Stringer won’t have to look too hard to find when the bell rings in Rio de Janeiro. A victory over Maldonado would be huge for Stringer, considering that it’s on a Pay-Per-View main card and against the number 15-ranked light heavyweight. 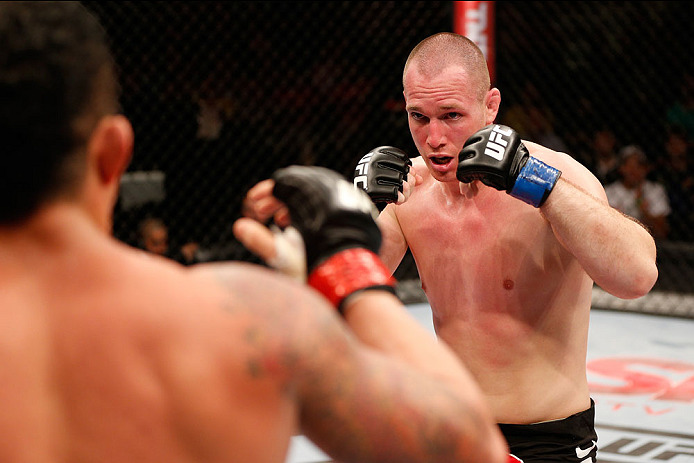 Stringer already sees himself as a top 20 fighter, with aims to shoot even higher this weekend. It would be, and that’s pretty impressive for a Jiu-Jitsu black belt from the Netherlands.